A military boarding school is an environment designed to shape young men into leaders and build their character through military discipline. – schools for troubled teens and boarding schools. 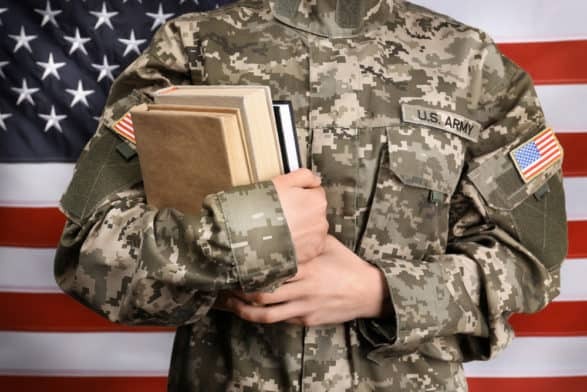 When parents hear the phrase “military boarding school”, a lot of different things may come to mind, including ideas shaped by misinformation. Let’s help you understand military boarding schools. • The chain of command teaches Cadets how to follow, then how to lead. It is well-known that in order to be an effective leader, you must first know how to follow others. • Uniforms instill pride in the school, while lending to an atmosphere of uniformity. • Military structure provides a consistency that helps boys develop essential life skills like responsibility, accountability, discipline, and self-motivation. Character is defined as the combination of emotional, individual and moral qualities which make up a person. Character-building lessons are built into everything at a military school, from the classroom to the counseling office to the athletics field. Every staff member in these programs are considered mentors and are dedicated to helping young men grow and develop their character. Most military boarding schools are also college prep schools, getting young men prepared in all areas of their life for excellence in the classroom. In a boarding environment, programs are able to reinforce lessons learned in classrooms 24/7. Studies have also shown, across the board, that boarding environments are the most effective when it comes to getting a student ready for college life. According to TABS, 87% of boarding school graduates feel well-prepared for college academically, while only 39% of public school students would say the same. A big reason for this is the low teacher: student ratios and extra help including study halls and accessible office hours. Military school education focuses on a lot of areas. From traditional core classes (math and science), leadership education, and character development, these programs cover much more than other schools. Also, since students live on campus, teachers get to spend that much more time with them throughout their day-to-day life and activities. Almost invariably, these teachers are also available to their students outside of class hours to help tutor and provide extra help. One of the top reasons for a young man to attend a military boarding school is to learn the skills necessary for a lifetime of success. The unique combination of top-notch academics and life skills development provide graduates from these schools a set of tools which will set them apart from their peers for life. These sorts of life skills, unavailable in typical schooling environments, are useful long after they’ve graduated from high school, giving them the competitive edge in college and their careers after that. Graduates are leaders, self-disciplined, organized, and team-oriented. Every day a student is in a military school they will be a part of a highly structured routine, with their schedules all laid out for them to be successful. Everything from homework, physical training, and even leisure time is scheduled and accounted for. This provides students with time management skills, self-discipline, and motivation which, again, will set them apart from the pack and set them up for a bright future! Should you need help finding homes for troubled teens, teen counseling services, and affordable schools for troubled teens please let us know. Military schools offer structure, mentorship and a safe environment that limits distractions and temptations that can detract from academic and personal progress. Still, military schools are not always the right choice for every young person. While military schools offer structure, and academic and athletic discipline in a controlled environment, military schools are not intended to act as a rehabilitation program. Military schools want students who wish to prepare themselves for a future in a collegiate, military, or professional setting. A military boarding school is an environment designed to shape young men into leaders and build their character through military discipline.